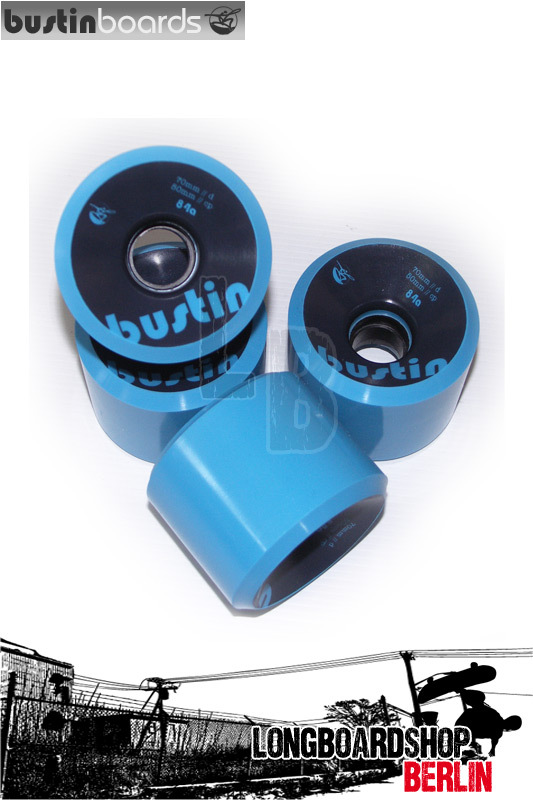 Bustin Boca 70mm 84a - We bumped up the durometer to the soft side of an 84a rating to give this longboard wheel a better balance of speed and control. This means that it flys and slides while maintaining reliable grip at any speed. Its wide, but not too wide giving the offset hub enough leverage to hold the road while giving you enough opportunity to throw it around as you please. The Bustin Blue's fest is coming to town.